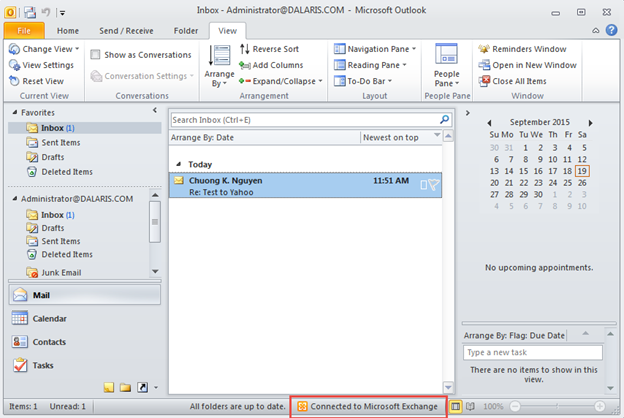 We will now configure the email account for Administrator in a Windows 7 computer using Microsoft Outlook. 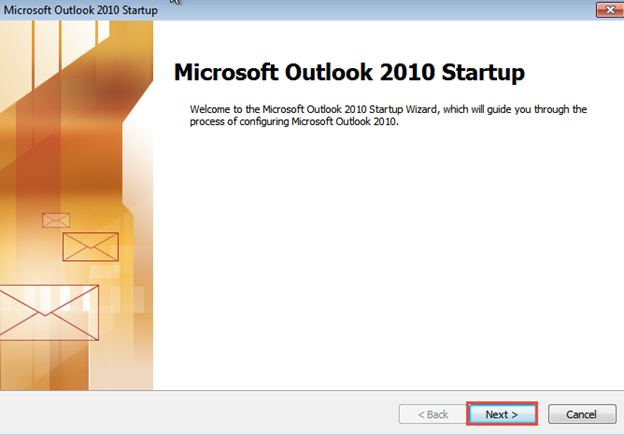 Let’s Launch Outlook 2010. Click Next at the Welcome screen. 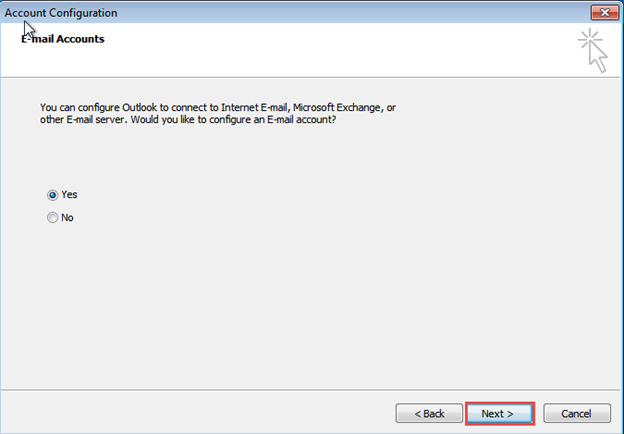 Choose Yes and click Next to configure an Email account. 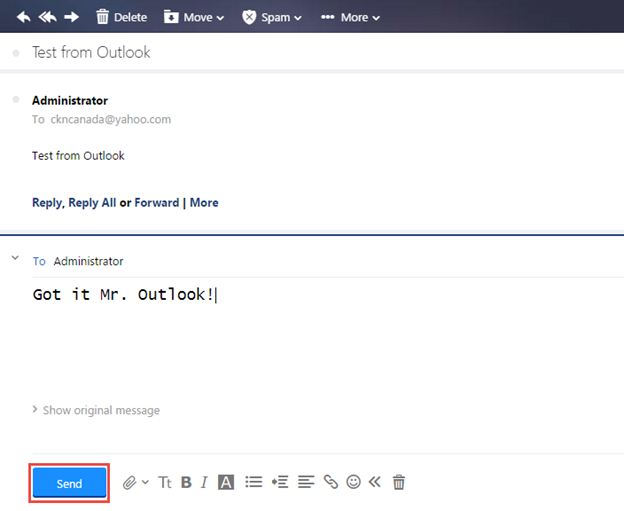 Because the Windows 7 is a domain client, logged in as Dalaris\Administrator, Outlook automatically detects that and it fills out the email address and Name. 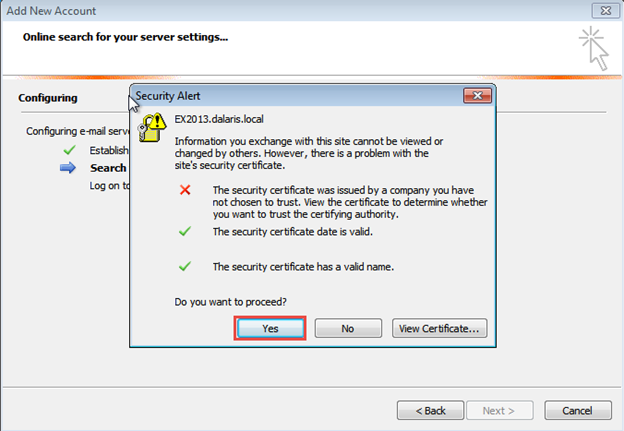 Click yes to confirm certificate. 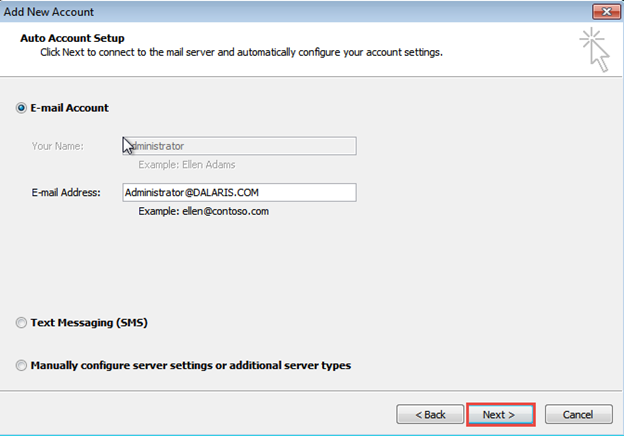 We will have a different lab on Exchange Server certificates. For now, just confirm this self-signed certificate. Compose an email and send it to ckncanada@yahoo.com. And of course, Yahoo received it. Click Reply to reply to the email. 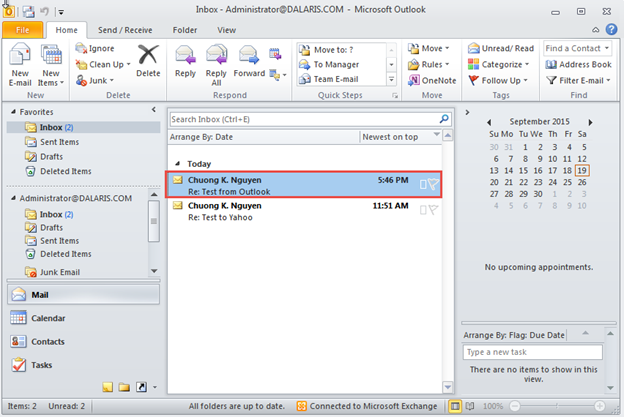 As you can see, Outlook receives the email. Congratulations. You have successfully finished the lab of installing, configuring, and testing Exchange 2013 Server.